Hard disk drive (HDD) and solid-state drive (SSD) makers are about to wow the storage market again. This year, Intel and Micron will introduce 3D XPoint memory, also known as Optane, which will increase performance and durability 1,000-fold over today's NAND flash. 3D Xpoint technology, also known as Optane, is up to 1000x faster than NAND; an individual die can store 128Gbits of data. Don't count NAND flash out. While the Optane chip and other resistive memory technologies coming down the pike may result in storage-class memory that could replace costly DRAM for many applications, it won't be cheap for a long while. That leaves the door open for continued NAND flash advances. Enter 3D NAND flash, which Samsung, Intel/Micron, Toshiba and others believe will continue to grow capacity and tamp down prices. Eventually, 3D NAND will even convince consumers that SSDs can be as affordable as HDDs. "Very soon flash will be cheaper than rotating media," said Siva Sivaram, executive vice president of memory at SanDisk. Meanwhile, Seagate has demonstrated its heat-assisted magnetic recording (HAMR) for HDDs, which will enable data densities of more than 10 trillion (10Tbits) per square inch. That's 10 times higher than the areal density in today's highest density HDDs. Seagate expects to work with equipment makers in 2017 to demonstrate HAMR products for data center applications, and in 2018 the company expects to begin shipping HAMR drives to broader markets. These recent technology advances are just the latest chapter in the long story of ever-growing storage needs forcing innovations to meet the new demand. When HDD companies faced capacity limits in the early 2000s, Toshiba and Seagate flipped data bits from lying flat on a platter to standing up side-by-side. The change from longitudinal to perpendicular magnetic recording increased HDD capacity by as much as 10 times. When the HDD industry again faced capacity limits in 2013, Seagate overlapped data tracks like roof shingles, increasing capacity by 25%; then in 2014, HGST introduced helium filled drives, boosting capacity by 50%. In the non-volatile memory industry, the same kind of advances have occurred to blow past capacity limits. Single-level cell (SLC) NAND flash became mult-level (MLC) NAND, where instead of one bit per transistor, two and three bits were stored. When MLC NAND faced its limits with the sub-10 nanometer (nm) lithography process, Samsung introduced 3D NAND flash, a move quickly followed by Intel/Micron and Toshiba, which stacked NAND cells up to 48-layers high. Flash manufacturers believe there's no limit in sight to how high they may climb. From the first iteration, 3D NAND flash technology offered from two to 10 times higher reliability and twice the write performance of planar NAND. Most importantly, however, 3D NAND removed the lithography barrier planar (single-level NAND flash) faced as manufacturers shrunk transistors below 15 nanometers in size. The smaller lithography process led to data errors as bits (electrons) leaked between thin-walled cells. "The big deal is you're not building these [3D NAND] skyscrapers one floor at a time. We know how to go from 24 layers to 36 layers to 48 layers to 64 layers and so on," said Sivaram. "There are no physics limitations to this. What we now have in 3D NAND is a predictable scaling for three and four generations -- something we never had before." Currently, Samsung, SanDisk and its partner Toshiba and Intel and its partner Micron have been able to create 48-layer 3D NAND, which can store 256Gbits (32GB) in a single chip. While Samsung is the only company mass producing the 48-layer chips, all of the others have launched or are planning product launches soon. SanDisk, for example, has shipped initial quantities of retail products manufactured using its 48-layer "X3" NAND technology, as well as having shipped samples of that product to equipment manufacturers. Even as 2D NAND approaches scaling limits due to lithography size and error rates, layer stacking to produce 3D NAND obviates those concerns. The graphic above shows one method of achieving 3D NAND. Horizontally stacked word lines around a central memory hole provide the stacked NAND bits. This configuration relaxes the requirements on lithography. The circular hole minimizes neighboring bit disturb and overall density is substantially increased. 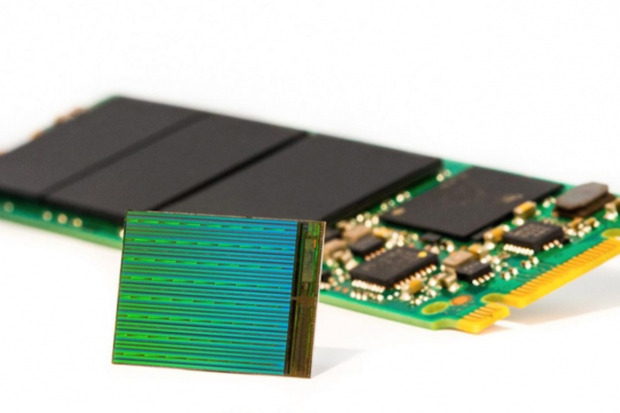 SanDisk, Sivaram said, is already planning for 3D NAND chips with more than 100 layers. "We don't see a natural limit to how high we can go. If I went around and asked how high can we go, [NAND manufacturers] won't tell me we can take it to 96 or 126 layers, and there's a physical limit there," Sivaram said. "This has been our dream for a long time." While factories to build 3D NAND are vastly more expensive than plants that produce planar NAND or HDDs -- a single plant can cost $10 billion -- Sivaram argued that over time they'll scale down in cost as adoption ramps up. While enterprises and consumers alike love capacity -- more is better -- price most often determines adoption. Intel and its development partner Micron are working on what may be a game changer in the non-volatile flash industry: the Optane chip -- known internally at Intel as 3D XPoint. While Intel has released little information about what Optane will be, most industry experts believe it is a form of resistive RAM. A two-layer depiction of Intel's and Micron's 3D XPoint (also known as Optane) chip resistive RAM architecture. It removes the need for bit-storing transistors and instead uses a latticework of wires that use electrical resistance to signify a 1 or a 0. Resistive RAM (ReRAM) is able to perform read and write operations using 50 to 100 times less power than NOR flash, which makes it perfect for mobile devices -- even wearables. ReRAM is based on the "memory resistor" concept, also called memristor. The term memristor was coined by University of California-Berkeley scientist Leon Chua in the early 1970s. Until memristor, researchers knew of only three basic circuit elements -- the resistor, the capacitor and the inductor. Memristor, which consumed far less energy and offered far greater performance than previous technologies, was the fourth. Currently, the only company shipping ReRAM products is Adesto Technologies. It recently introduced a new conductive bridging RAM (CBRAM) memory chip for battery-operated or energy-harvesting electronics used in the Internet of Things (IoT) market. A microscopic sideview photo of a Resistive RAM circuit where tiny conductive filaments crisscross and connect silicon layers to represent a bit of data. In contrast, Intel plans to ship its Optane drives for enthusiast PC users this year. Jointly developed with Micron, the new Optane drives are expected to be 10 times denser than DRAM, and on paper are 1,000 times faster and more durable than NAND flash-based SSDs. With one thousand times the endurance of NAND, Optane drives will offer one million erase-write cycles, meaning the new memory would last pretty much forever. "It's not as fast as DRAM, so it's not going to replace it in the most latency-valued applications, but it's much higher density and much lower latency than NAND," Russ Meyer, Micron's director of process integration, said in an earlier interview with Computerworld. 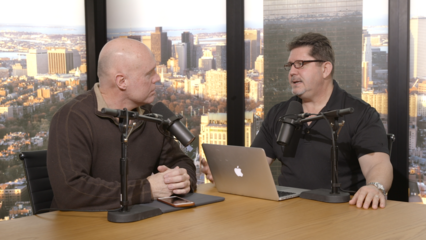 "If you compare how much faster SSDs are to hard drives and how much faster 3D XPoint is to conventional NAND, it's kind of the same order of improvement," Meyer said. Intel has demonstrated Optane drives operating at about seven times the speed of its current SSDs. This year, Intel also plans on releasing Optane drives for servers based on its new Skylake processor. Along with Optane SSDs, the ReRAM technology is expected to come as DIMMs that plug into memory slots. Alan Chen, a senior research manager at DRAMeXchange, a division of TrendForce, said that even if Intel's Xpoint ReRAM technology enters the consumer PC marketplace this year, its use will be limited to the highest-end products due to cost. "Optane's impact on the SSD market will be determined by its pricing. Currently, Optane products are still more expensive than the mainstream NAND flash-based counterparts. Hence, they will initially affect just the high-end SSD market," Chen said. Last year, Hewlett-Packard and SanDisk also announced an agreement to jointly develop "Storage Class Memory" (SCM) ReRAM that could replace DRAM and would be 1,000 times faster than NAND flash. New Mexico-based Knowm is a start-up company that is also working on producing memristor technology. New Mexico-based startup Knowm's memristor chip could lead to intelligent computers by mimicking the human brain's synapse reponse. Knowm's memristors are designed to mimic human brains, in which a synapse connects two neurons. Those neurons get stronger the more often a signal is passed between them. Similarly, the learning and retention of information on Knowm memristor circuits are determined by data flow characteristics and the current. Chen revealed that Samsung is also working on a product similar to Intel's Optane that will incorporate DRAM and NAND flash manufacturing. Samsung, however, declined comment. As SSD prices continue to drop following the adoption of denser flash memory technology like 3D NAND, HDD makers are planning their own technology upgrades. Case in point: HAMR, which uses a laser on the hard drive read/write head to set smaller bits more securely in place on a drive's spinning platter. Both Western Digital and Seagate are working on HAMR HDDs. HAMR (heat assisted magnetic recording), uses a laser on the hard drive read/write head to set smaller bits more securely in place on a drive's spinning platter compared to traditional perpendicular magnetic recording. "HAMR is our next technology that will keep our march along areal density curve going," said Mark Re, Seagate's chief technology officer. "We seem to go through these transitions every 10 years or so." As disk drive densities increase, the potential for data errors also increases due to a phenomenon known as superparamagnetism effect. That's where the magnetic pull between bits close together on a platter's surface can randomly flip, resulting in their value changing from one to zero or vice versa. Random bit flips result in data errors. HAMR uses a special aperture on the HDD's read/write head called a near-field transducer that concentrates a large quantity of photons onto the spinning disk in as small a size as possible. 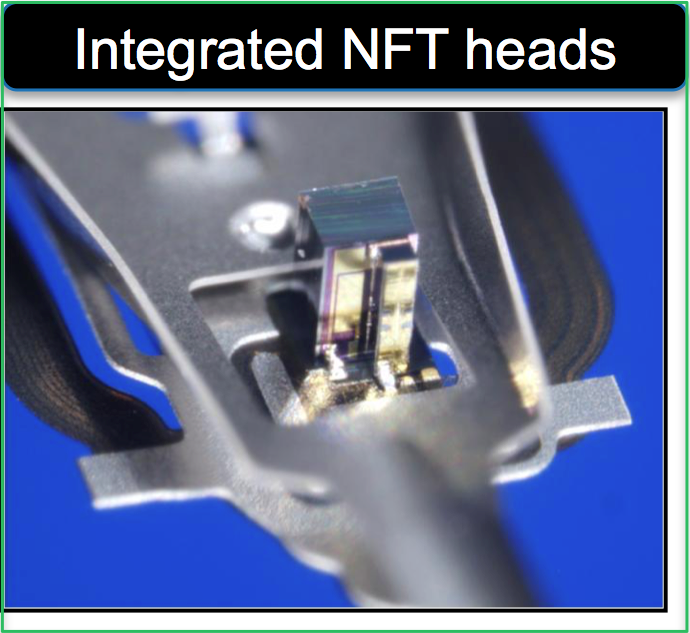 A close up look at a near field transducer on a read/write head that concentrates a large quantity of photons onto the spinning disk. HAMR technology, created by Seagate, uses a laser to briefly heat a hard drive's disk surface during magnetic head recording. The heat shrinks a platter's data bits and tightens the concentric circles, known as tracks, to increase density. HAMR also uses nanotube-based lubrication to allow the read/write head of a disk to get closer to the surface in order to be better able to read and write data. HAMR technology will eventually allow Seagate to achieve a linear bit density of around 10 trillion (10Tbits) per square inch -- 10 times higher than today's best HDD areal density of about 1Tbit per square inch, according to Re. Seagate has already demonstrated HAMR HDDs with 1.4Tbits per square inch -- still 40% higher than today's best HDDs. ASTC's roadmap shows HAMR and BMPR technologies combining to grow bit areal densities by 10X compared to today's hard drives. "We don't see others out there ahead of us. We have a pretty long history with HAMR. We've been working on it for about 10 years," Re said. "We're a bit more aggressive on when we'll ship it." Using HAMR, the theoretical density for hard drives skyrockets, yielding a 3.5-in. server or desktop drive with up to 60TB of storage, and a single-platter 2.5-in. laptop drive with up to 20TB of capacity. The marketing campaign Seagate has used is "20TB by 2020," but Seagate CTO Mark Re told Computerworld that's just a target. Even beyond HAMR, the HDD industry has plans for greater drive density. Bit patterned media (BPM) recording would use nanolithography to down predefined bits of data on a drive platter, as opposed to current HDD technology where each bit is stored in 20 to 30 magnetic grains. BPM could increase HDD density up to 200Tbits per square inch. "Considering the latest 4TB external drive is 5 platters, that's pretty insane," said Nathan Papadopulos, Seagate's corporate communications manager. "It's clearly still a ways out," Re added. "We're looking at this technology for middle of the next decade."